The author has fished with flies all over the world. His knowledge of the art and sport of catching trout with feathered imitations of native insects has been imparted to countless students in his annual Fly-Fishing Basics classes since 1978. But this book far surpasses Black's experience on the rivers and streams he has fished. There is evidence that men have been fooling fish with fake flies for over 700 years, possibly much longer, going back to China and Macedonia and Rome. 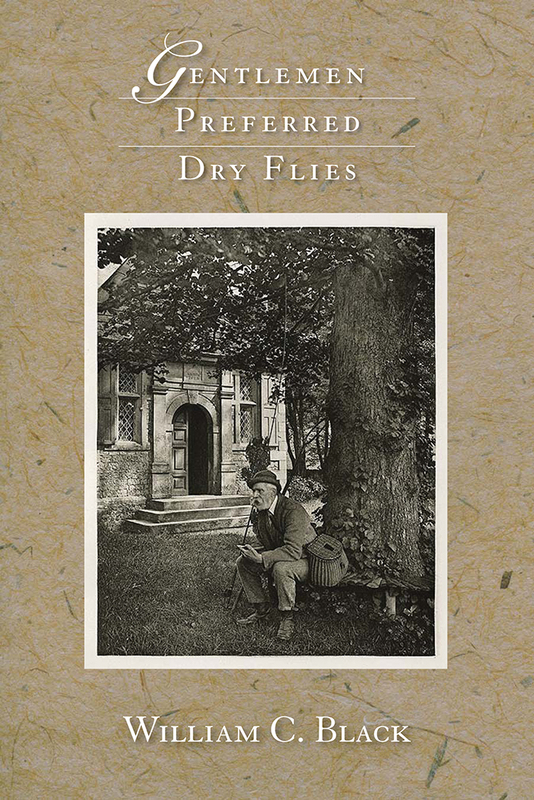 The first fly-fishing book, written in the early years of the fifteenth century but not published until 1496, was for many years attributed to Dame Juliana Berners, an English nun born some years before that. Subsequent evidence shows that she may not have been the author of the Treatise of Fishing with an Angle. The true author is unknown, but the dictates of the book have lived on ever since in the ever-present activity of fly-fishing's devotees. Black gathers the stories of numerous historical characters, many of them English aristocrats, who have adhered to the traditional requirement that flies should be modeled on the flying insects that land on the water's surface, rather than nymphs, the immature form of the floating insect. Gentlemen only fished for rising fish lured by a fleeting food source. While both techniques are now equally fascinating to gentlemen (and ladies), the debate between those who prefer dry flies to wet continues to this day. William C. Black, M.D., is professor of surgical pathology at the University of New Mexico, Albuquerque.